Acceptable Use disclaimers are an integral part of the framework of information security policies; it is often common practice to ask new clients to agree to an AUP before they are given access to information systems. We don't spy or keep an active eye on our client's hosting accounts, but we do react to legitimate complaints from all sources. Over the past 10+ years, we have strived to keep our acceptable use statement fair for everyone. If you have any concerns, please read the below and let us know if you have questions. 4GoodHosting.com, Inc. ("4GoodHosting.com") provides web site hosting and dedicated services to its clients as a way for those clients to pursue the informational and commercial exchange the Internet affords. To protect the interests of all clients and to ensure optimal service levels, 4GoodHosting.com has developed the following Acceptable Use Policy ("AUP") for clients as a guide to client rights and responsibilities when utilizing services offered by 4GoodHosting.com. Use of any service offered by 4GoodHosting.com by any client will constitute acknowledgment of an agreement to the terms outlined in this document. This AUP may be revised in part or in full at any time by 4GoodHosting.com and notices of changes will be posted to the 4GoodHosting.com billing system. Continued use of services offered by 4GoodHosting.com after such changes or enhancements to the AUP have been made will constitute acceptance of any revisions to the AUP. Signing up or using any of our services creates a contract between you and us (4GoodHosting.com) R629 Enterprises ltd., consisting of the order, the applicable service description and this user agreement. You are agreeing to be bound by the terms of this agreement and all terms and conditions incorporated by reference in this agreement, including our acceptable use policy. Your use of the services constitutes acceptance of this agreement. All services provided by 4GoodHosting.com may be used for lawful purposes only. 4GoodHosting.com does not monitor, edit, censor, or take responsibility for client content or communications from within the network controlled by 4GoodHosting.com except inasmuch to determine if violations of the AUP have occurred once a suspected violation has been brought to the attention of 4GoodHosting.com. Therefore, clients are solely responsible for the content and use of their service as provided by 4GoodHosting.com and should ensure that such use falls within the guidelines of the AUP. 4GoodHosting.com cannot and will not monitor, edit, censor, or otherwise interfere with information or content clients may retrieve from sources outside the 4GoodHosting.com network even when such information is made available to clients through the use of material deliverable to any site or service maintained by 4GoodHosting.com, such as via email. Because of this, 4GoodHosting.com will not be responsible for injury or liability to any client resulting from communications that may be offensive, misleading, illegal, or otherwise unsuitable in the view of the client. Clients further agree to indemnify and hold harmless 4GoodHosting.com or any of its subsidiaries from claims resulting from the use of any provided service which damages the client of any other party. 4GoodHosting agrees not to use any Confidential Information disclosed to it by the customer for its own use or for any purpose other than to carry out discussions concerning, and the undertaking of, the data transfer process. Backups are performed by 4GoodHosting.com as a courtesy to clients; however, all clients are advised to maintain a current local copy of their files in the event backups are irretrievable for any reason. 4GoodHosting.com will not be deemed responsible for data or other loss resulting from the unavailability of backups. Backups will not be retained for accounts that have been cancelled, unless such retention is deemed necessary by 4GoodHosting.com. As cancellation requests are processed immediately, any required files from the affected account should be downloaded prior to the cancellation request. 1. Backups are performed by 4GoodHosting.com as a courtesy to clients; however, all clients are advised to maintain a current local copy of their files in the event backups are irretrievable for any reason. 4GoodHosting.com will not be deemed responsible for data or other loss resulting from the unavailability of backups. Backups will not be retained for accounts that have been cancelled, unless such retention is deemed necessary by 4GoodHosting.com. As cancellation requests are processed immediately, any required files from the affected account should be downloaded prior to the cancellation request. 2. What "Unlimited" DOES NOT mean. 4GoodHosting.com employs complex mechanisms to protect its Subscribers and systems from abuse. 4GoodHosting.com's offering of "unlimited" services is not intended to allow the actions of a single or few Subscribers to unfairly or adversely impact the experience of other Subscribers. 4GoodHosting.com's service is a shared hosting service, which means that multiple Subscriber web sites are hosted from the same server and share server resources. 4GoodHosting.com's service is designed to meet the typical needs of small business and home business website Subscribers in the Canada. It is NOT intended to support the sustained demand of large enterprises, internationally based businesses, or non-typical applications better suited to a dedicated server. 4GoodHosting.com will make every commercially reasonable effort to provide additional resources to Subscribers who are using their website(s) consistent with these Terms, including moving Subscribers to newer and bigger shared servers as necessary. However, in order to ensure a consistent and quality experience for all Subscribers, 4GoodHosting.com does place automated safeguards to protect against any one site growing too quickly and adversely impacting the system until 4GoodHosting.com can evaluate said sites resource needs. 3. Unlimited Hosting Space. 4GoodHosting.com does not set arbitrary limits on the amount of disk space a Subscriber can use for the Subscriber's website, nor does 4GoodHosting.com charge additional fees based on an increased amount of storage used, provided the Subscriber's use of storage complies with these Terms. Please note, however, that the 4GoodHosting.com service is designed to host websites. 4GoodHosting.com does NOT provide unlimited space for online storage, backups, or archiving of electronic files, documents, audio/video, log files, warez etc., and any such prohibited use of the Services will result in the termination of Subscriber's account, with or without notice. Accounts with excessive number of files or the accounts which use more than 10% of the server resources, negatively effect the performance of the server. 4GoodHosting.com may request that the number of files be reduced. You may also be asked to be upgraded to a VPS package if your requirements are not covered under the shared plan. VPS packages have dedicated resources that are 100% allocated to the customer with no limits. 4. Unlimited Data Transfer. 4GoodHosting.com does not set arbitrary limits on the amount of visitor traffic a web site can receive or on the amount of content a Subscriber can upload to his/her/its website in a given month, nor does 4GoodHosting.com charge additional fees based on increased use of bandwidth, as long as the Subscriber's use of the Services complies with these Terms. In most cases, a Subscriber's web site will be able to support as much traffic as the Subscriber can legitimately acquire. However, 4GoodHosting.com reserves the right to limit processor time, bandwidth, or processes, memory, or number of files in cases where it is necessary to prevent negatively impacting other Subscribers. 4GoodHosting.com services, including all related equipment, networks and network devices are provided only for authorized customer use. 4GoodHosting.com systems may be monitored for all lawful purposes, including to ensure that use is authorized, for management of the system, to facilitate protection against unauthorized access, and to verify security procedures, survivability, and operational security. During monitoring, information may be examined, recorded, copied and used for authorized purposes. Use of 4GoodHosting.com system(s) constitutes consent to monitoring for these purposes. Any account found connecting to a third party network or system without authorization from the third party is subject to suspension. Access to networks or systems outside of your direct control must be with expressed written consent from the third party. 4GoodHosting.com may, at its discretion, request and require documentation to prove access to a third party network or system is authorized. The sending of unsolicited email (spamming) from a 4GoodHosting.com server or referencing a domain hosted by 4GoodHosting.com in any spam, whether originating from the 4GoodHosting.com network or not, is forbidden. 4GoodHosting.com maintains an excellent reputation as a zero-tolerance provider due to swift action on spam complaints. Complaints regarding spamming are investigated thoroughly by 4GoodHosting.com. Should abuses be found, 4GoodHosting.com reserves the right to immediately and without notice terminate the offending account we charge a minimum fine of $100 per infraction to a maximum $500 depending on the amount of abuse. Sites that promote, sell, or otherwise provide access to spam ware products or email lists or products that are solely for the purpose of extraction or sale of email addresses or which are used to send bulk email are not permitted on any 4GoodHosting.com server. Unsecured form to mail scripts, such as Matt Wright's formmail script, are likewise prohibited as are any naming variant of generic form to mail scripts (formmail. *, Formmail. *, FormMail.*). Unsecured form to mail scripts found to exist under any client account may be deleted or renamed at the discretion of 4GoodHosting.com. To protect and maintain high availability of all servers, activities designed to cause harm to or monopolize the resources of any server in the 4GoodHosting.com network is prohibited. This includes, but is not limited to, the use of programs that consume excessive CPU time or; use of server space for backup or storage of material unrelated to the web site of an account; use of any provided mail services other than for the client's own account; resale of disk space without an appropriate reseller agreement; use of servers to engage in any malicious or illegal activity, including unauthorized access to remote systems or providing the means for such access or engaging in any activity that can be used as a means to begin remote system penetration; distribution of viruses, worms, or any other electronic destructive resource; or maintaining or creating any free for all (FFA) type sites. It's the clients responsibility to keep all scripts up to date, 4GoodHosting.com does not apply patches or fixes if a script is compromised it's clients responsibility to cover all cost associated to clean up the server and or remove IP from blacklists do to spamming. Internet Relay Chat ("IRC") related materials are prohibited, without exception. This includes bots, bouncers, or any script or software package designed to facilitate the creation, maintenance, or access to any IRC server or channel. Client accounts found to have such software or scripts uploaded are subject to suspension or termination without notice. Scripts or software found to exist on any server will be deleted immediately upon discovery, without notice, and a warning issued. Further violations of this policy will result in account termination. Web proxy scripts are prohibited. This includes any script, such as nph-proxy, that allows anyone to browse to a third party web site from any server in the 4GoodHosting.com network or that otherwise masks the true origination point of browsing activities by use of network information associated with 4GoodHosting.com. Such scripts will be deleted when found. Repeated violations will result in account suspension or termination. The weblog software Grey matter is not permitted on any 4GoodHosting.com server. Filtering is performed on all servers to deny access to the scripts Grey matter utilizes due to the resource issues created by those scripts. Installations found will be noted to the account holder for removal and transitioning to a new weblog software package. A hosting account holder may only utilize 5% of the system resources (on a shared webserver) and no more than this limit, otherwise the user might be suspended or migrated off the server. Use of any 4GoodHosting.com service to make any illegal or obscene content available via transmission, storage, or display of such material is prohibited. Accounts maintaining such content are subject to suspension or termination without notice. Any activity that infringes on copyrights, trademarks, service marks, patents, software ownership, or trade secrets held by any third party entity is prohibited. 4GoodHosting.com is required by law to remove or suspend accounts that violate copyright held by third parties when notified that such infringement exists. Accounts that continually engage in such violations are subject to termination. All website builder templates must remain on 4GoodHosting servers and are not licensed for use anywhere else, Copyright Infringement is subject to a $500 fine, which will be returned once copyright material is removed minus $65.00 processing fee, client agrees to pay any legal costs that may arise from legal action. Material that infringes on the privacy or rights of others, or that otherwise represents a reasonable, credible threat, is prohibited. Disputes between parties where clear legal decisions cannot be determined by individual claims must be settled between those parties and valid legal documentation must be provided for action related to content on sites within the 4GoodHosting.com network. In no instance will 4GoodHosting.com be responsible for individual site material for which no authoritative documentation has been provided. Any activity not defined above but judged by 4GoodHosting.com to be harmful to other clients or general operations of the network will be addressed on a case by case basis. Any Damages related to work or testing done on our servers will be charged to the end client. Cancellation requests must be made via the online ticketing system at 4GoodHosting.com/billing2 you will then automatically receive a confirmation ticket number. Without this receiving this number via email your account has not yet been cancelled. No other avenues of cancellation will be accepted as we require a message-trail regarding cancellations. You will be asked for account username and password information to validate the cancellation request for customer security reasons. While no advance notice of cancellation is required, all fees paid for service to the point of cancellation are non-refundable. All fees paid for domain registration, domain renewals, website transfers and or SSL certificates are non-refundable, without exception. All accounts services, including domain renewals, are setup to auto-renew unless specified otherwise at signup. This setting can be switched on and off inside your customer portal. Free website transfers include up to 1GB of data transfer. Each additional GB transferred is billed at $80. To qualify for a free website transfer you must be signed up for a hosting package on a yearly billing cycle or longer. If you cancel your account within the first 30 days migration charges may apply. We offer 10-day refund policy on hosting account renewals after 10 days of the account renewal date. We do not provide refunds on hosting accounts renewals after 10 days of the renewal date. We will refund the full amount minus 5% restocking fee. VPS Servers have a no-refund policy. VPS support packages must remain active for 3 months. Additional VPS IP's require a deposit of $20 per IP address for a 3 month period which is fully refundable if the ips are clean from any blacklists after 3 months. All fees paid for domain registration and or SSL certificates are also non-refundable, without exception. VPS Support Packages L1 includes up to 1.5 Hours per monthly billing cycle & L3 includes up 3 Hours per Monthly billing cycle. Accounts are payable in full at the time of account creation. Accounts for which payment by credit card is selected are subject to suspension if payment cannot be processed at the time of account creation. New accounts that remain past due thirty (30) days after account activation are subject to termination. Any account reaching thirty (10) days past due is subject to suspension for non-payment. Such accounts are subject to termination after forty-five (45) days in a past-due state. All renewals must be cancelled before the renewal date which is 10 days before the actual renewal date. Again, all accounts are setup to auto renew unless specified otherwise at signup. This can be switched on and off inside your customer portal. All invoicing and payments are automatic and recurring unless otherwise specified by the client at the time of account setup or by request after setup has been completed. All invoices are due upon creation. Our system keeps track of declined credit card charges and we are aware this can happen but excessive declines charges will be charged back to the client at $1.00 for each declined charge. Chargebacks issued for valid hosting fees or domain registration charges will result in immediate account termination, without prior notice, and without exception and will be forwarded to a collections company. Domain registration for accounts payable by paypal are completed only after payment is received. We have no contracts at 4GoodHosting.com however if you do take advantage of the free domain offer we ask you to complete at least 1 year worth of web hosting service. If for any reason you would like to cancel all we ask is that you pay for the cost of the domain name $12.95 (.com, .net, etc.) or $16.00 (.ca) depending on the dot extension of the domain name. Web Design & Programming services are provided on quote per quote base 50% of project is due upfront and 50% due on completion all content and pictures required before the start of the project. However, after initial design mockup or mockup approval are provided for review if no feedback is given within 5 business days the final 50% of the project is due and can be charged to the payment method on file. We will continue to make updates once further instructions are provided by the client. All design projects are due in full after 90 days no exceptions. 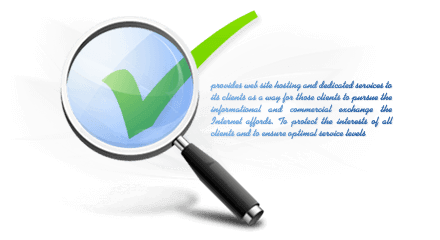 SEO services are based on six month minimum term due to content creation. Pay per click, natural SEO and local SEO services require a 30-day cancellation notice, any amount of days short of 30 days will imply one more month of billing. SEO forwarding phone numbers for places accounts, which are used in the SEO process, are property of 4GoodHosting. 4GoodHosting does not sell or resell phone numbers. Forwarding numbers are used for tracking calls only. As per the Terms of Service agreement, the listed owner of an account/domain is responsible for maintaining the confidentiality of login and billing information related to that said account/domain. We at 4GoodHosting.com are not responsible for any changes made to the account/domain or any information that has been modified by the listed owner, or any parties authorized by the owner, to access the account billing portal or the Control Panel. 4GoodHosting.com is not liable for any account/domain disputes that may arise between various parties holding login information. User is responsible for maintaining the confidentiality of login and billing information. 4GoodHosting.com is not liable for any account disputes that may arise between various parties holding account login information. 4GoodHosting.com is not responsible for any changes made to the account or any information that has been modified by User, or any parties authorized by User, to access the account billing portal or Control Panel. User is responsible for updating and maintaining contact and billing information with 4GoodHosting.com. If there is a dispute between parties regarding control of an account/domain OR the current listed owner is unresponsive to third party contacts, 4GoodHosting.com will not make any changes. Any party whether that is the third party or current owner, may need to pursue legal action if a decision cannot be made through arbitration. As a web hosting company, we are not in a position to judge the relative merits of each party's position with regards to this dispute. However, should either of the parties elect to seek a court order, please be advised that we would comply with a valid order issued by a court of competent jurisdiction. We would comply with a valid order that would direct us to take action with regard to the account in question. Accordingly, if parties were to obtain such a valid court order restraining USER from maintaining an account, please be advised that we will review it and act appropriately. Any such court order should be faxed to (866) 680-9473 or an email copy to abuse@4GoodHosting.com, we are not liable for any account disputes that may arise between various parties holding account login information. Furthermore, we are not responsible for resolving any domain disputes. These issues must be resolved by the parties involved, according to the legal bounds of ICANN and CIRA, the domain name governing bodies. 4GoodHosting.com will not act as an arbitrator, but will honor any ICANN or CIRA decisions. Please refer to ICANN and its ICANN UDRP (Uniform Dispute Resolution Policy) at www.icann.org/dndr/udrp/policy.htm for further information if you choose to go that route. (ix) any loss or damage of any kind incurred as a result of your use of this site or the services found at this site, whether based on warranty, contract, tort, or any other legal or equitable theory, and whether or not 4GoodHosting.com is advised of the possibility of such damages. (x) third-party conduct of any nature whatsoever. In addition, you specifically acknowledge and agree that in no event shall 4GoodHosting.com.s total aggregate liability exceed the total amount paid by you for the particular services that are the subject of the cause of action. All customers agree to indemnify, defend, and hold harmless 4GoodHosting.com from any and all losses, expenses, liabilities, claims, attorney's fees, damages, awards, judgments, or actions that may arise from the use of this service other than as expressly authorized by the terms of this policy. 4GoodHosting.com makes no warranties, expressly or implied, for this service. This service is offered on an "as is" basis, and customers waive all claims as noted above that may arise from the inability to use this service as provided. The recourse available to customers should customers become dissatisfied with this service, the terms of this service, or any policy, practice, or guideline as set by 4GoodHosting.com will be limited to discontinuation of service as denoted in the Account Policies and Cancellation item above. This agreement is governed by the laws of the Canada and the United States of America. Customers agree that all services provided by 4GoodHosting.com are deemed to have been requested in and provided in British Columbia, Canada and that jurisdiction for any and all claims or disputes shall reside there. If 4GoodHosting.com is sued or threatened with a lawsuit from a third party because of something you do with the services, or as an affiliate you agree to pick up the tab if 4GoodHosting.com is found liable or pays to settle the dispute. In legal terms, this is called "indemnification." Not only do you agree to reimburse 4GoodHosting.com for what it pays to satisfy a judgment or settle a case, you also agree to pay 4GoodHosting.com's reasonable attorney's fees and all other costs 4GoodHosting.com incurs in defending itself. User agrees to indemnify, defend and hold harmless 4GoodHosting.com and its parent, subsidiary and affiliated companies, and each of their respective officers, directors, employees, shareholders, attorneys and agents (each an "indemnified party" and, collectively, "indemnified parties") from and against any and all claims, damages, losses, liabilities, suits, actions, demands, proceedings (whether legal or administrative), and expenses (including, but not limited to, reasonable attorney's fees) threatened, asserted, or filed by a third party against any of the indemnified parties arising out of or relating to User's use of the Services, (ii) any violation by User of the AUP, (iii) any breach of any representation, warranty or covenant of User contained in this Agreement or (iv) any acts or omissions of User. The terms of this section shall survive any termination of this Agreement.